While looking at my makeup collection over the past week, I realised that I actually have a lot of products that are from the higher-end of the spectrum, and a lot of them have a cult following. Most of them were gifts from my dear friend, Cat, who keeps spoiling me whenever we send each other care packages. I've rarely bought anything for myself that costs too much to justify the purchase, so it's always a wonder when I open my drawer and I find Too Faced (from before they were bought out by Estée Lauder) among the Milani and the Wet 'n' Wilds. My breath catches in my chest whenever I spy my little Mary-Lou in the drawer, and I get a little too excited when I open up my Anastasia Beverly Hills Modern Renaissance palette. If you were to tell me two years ago, before I started wearing makeup again, that I would come to possess a few high-end brands, I would have scoffed in your face. 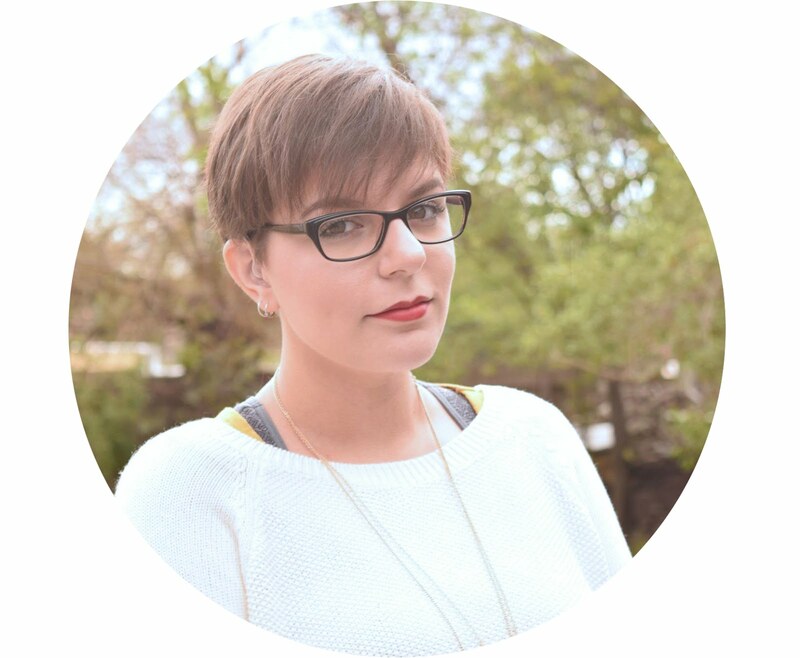 Back then, I wasn't interested in more than a few basics from the cheapest cruelty-free brands possible, as I wasn't in the best place financially and I didn't think it mattered if I only owned a mascara and a red lipstick. I don't know how, and I don't know when, but somewhere along the line, I ended up unleashing a monster. The first designer product I ever bought was the Tarte Holidaze Deluxe Set because I wanted to see if their products were actually worth the hype, let alone the money. At the time of purchase, I didn't know that Tarte was owned by a parent company, but since I had already forked out the money I wasn't going to throw the set out. The set included a deluxe-sized Lights, Camera, Lashes mascara, a mini Amazonian Clay 12 Hour Blush in Fanciful and a teeny bottle of the Maracuja Oil. I'm going to ignore the Maracuja Oil, as that one isn't as hyped about in the blogging/beauty community, but I'll definitely express my opinions on the mascara and the blush. Lights, Camera, Lashes is one of the most popular Tarte products, and I cannot comprehend why. Sure, the hype has died down somewhat in the past year, but I still see a mention of it every now and then. It is, to date, one of the worst mascaras I have ever had the misfortune of trying, as it was so dry, clumpy, thick and flaked all over the place. The Amazonian Clay 12 Hour Blush is actually still hyped about among beauty aficionados, and not a day goes by that I don't see or hear about it, be it on Instagram, Twitter, Bloglovin' or Pinterest. I've actually been using this one quite a bit this year so far, as I like slipping it into my on-the-go makeup bag due to the small size. However, again, I don't understand the hype. Sure, the formula is really nice and pigmented, it goes on the skin easily and blends like a dream, but it isn't anything magical. In fact, it actually doesn't last the 12 hours like it is supposed to - it starts fading about 6-8 hours in. The Too Faced Peanut Butter & Jelly palette was my first proper high-end purchase, as I wanted to spoil myself a little last year after a long period of being depressed and unhappy with my living situation at the time. I was initially going to buy the Chocolate Bar, but then they announced this one and I just could not resist. I love peanut butter, I glob a huge amount of it on each slice of bread and nom it all down like the Cookie Monster eats his cookies. At first, I wasn't too impressed with this palette, as I didn't think it was pigmented enough when swatched with my finger. It wasn't as buttery as other eyeshadows I'd tried. The Jammin' shade looked pretty muddy on my eyes when I used a brush. The eyeshadows do last all day on me with the help of a primer, and they blend nicely. Are they worth the hype? Not entirely. I all but begged Cat to get me theBalm's Mary-Lou Manizer because I was starting to get a little addicted to highlighters, and this was hyped about so much. After trying it for the first time, it was easy to see what the hype was all about, and I instantly fell in love with it. 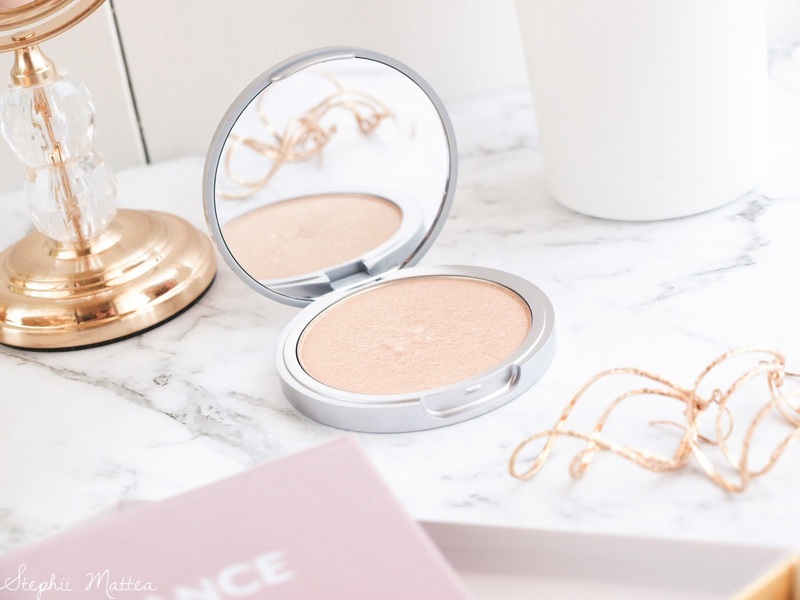 It is still one of my ultimate favourite highlighters, and I reach for it most of the time. It's such a lovely creamy pearl shade that's not sparkly, but so soft and easy to blend. A little goes a long way, and I still haven't made a dent in it. 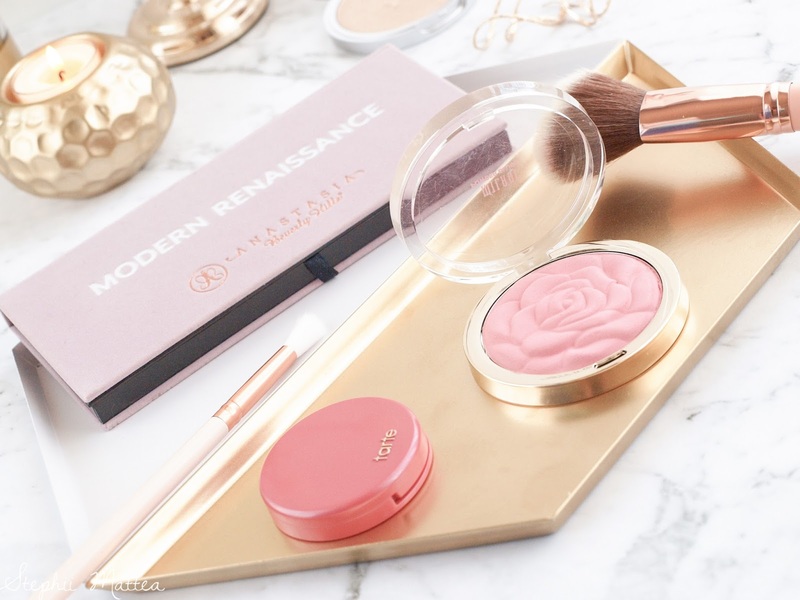 Milani Rose Blushes, while not as high-end as the other brands I've mentioned here, is a budget cult product, and it's easy to see why. 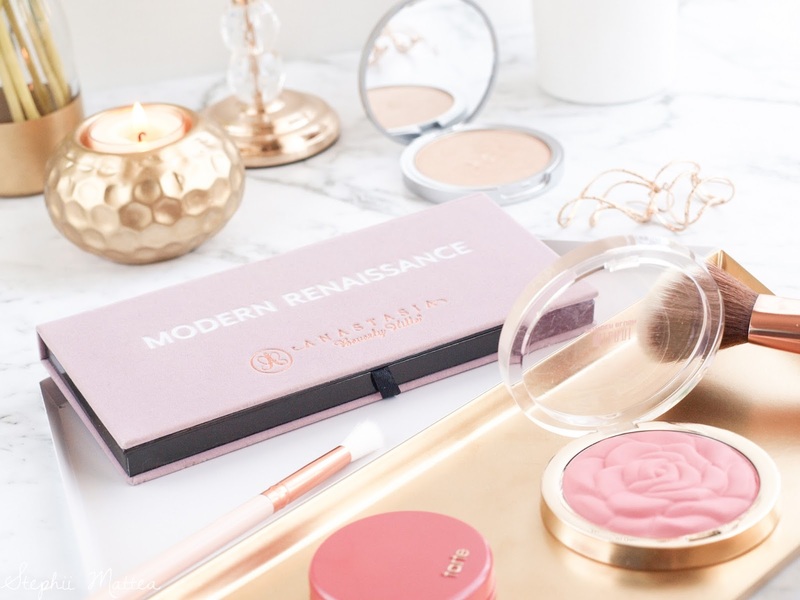 The luxurious gold packaging, the gorgeous delicate rose motif and the quality of the blush have all contributed to the popularity of this beauty. It's such excellent value for money, costing less than a tenner in US dollars. It lasts forever, it has amazing colour payoff and it applies and blends beautifully. Anastasia Beverly Hills Modern Renaissance has got to be one of the most, if not the most, popular palette of 2016. Everywhere you turned, someone was raving about this palette, and for the better part of the year, I believed the brand to not be cruelty-free. After all, it was right up there among the other high-end brands, and it really felt like they were at least owned by a testing parent company. I've never been more wrong in my life, and I'm so glad for it as this palette is amazing. I just cannot believe how wonderful it is - the pigment is insane, the colour selection is gorgeous, and it just blends beautifully. The only problem is that it has a little bit of fallout on the pan, but everything else is great. Definitely worth the hype and the money! 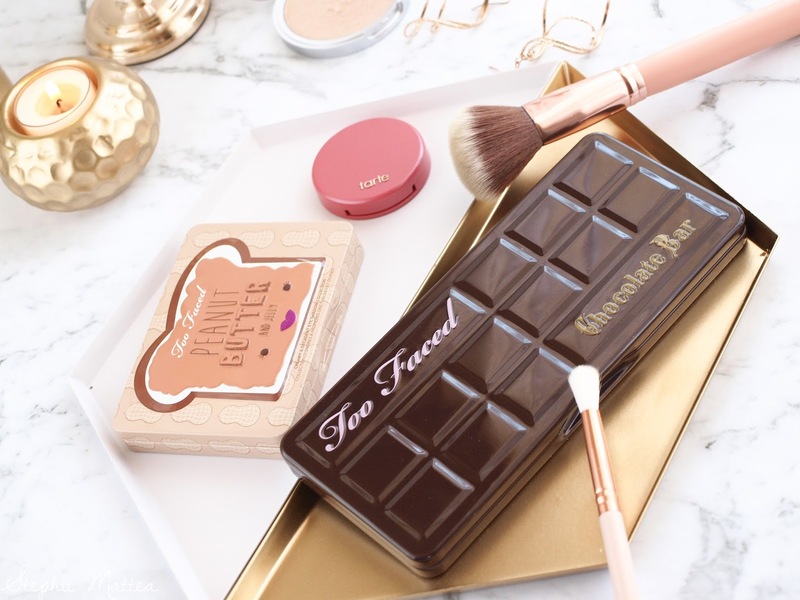 Another palette that I must talk about is the Too Faced Original Chocolate Bar. 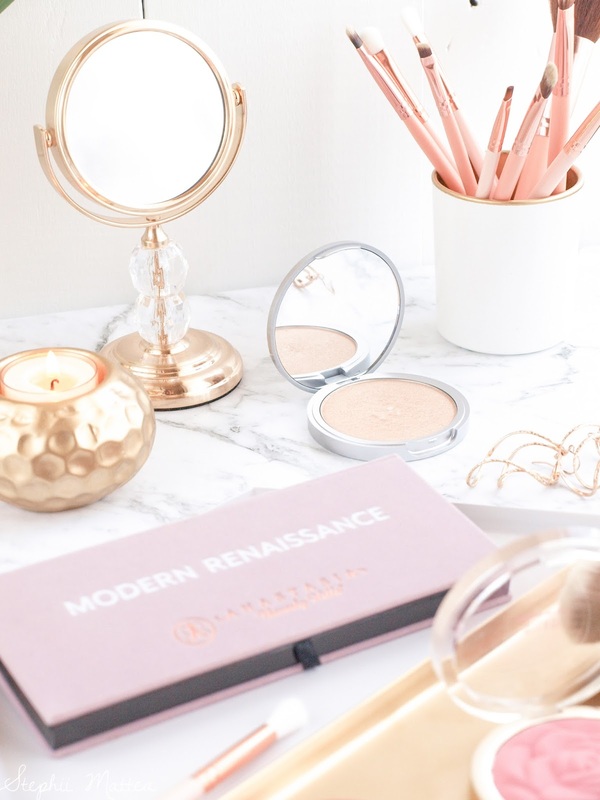 Touted as a must-have among all the beauty retail staff, by all the vloggers and bloggers, all the Instagrammers and even friends, this is definitely a cult product. I wasn't actually impressed when I was first gifted this by Cat because compared to the I Heart Makeup dupe, it didn't seem that pigmented. However, that was just from the finger swatches. It performs just as well, if not better than the dupe from the Makeup Revolution when brushes are used. However, since we generally don't apply eyeshadow without brushes, this is actually a really good palette in terms of quality, colour, variety and application. This is worth the hype, but of course, I can't support the company as they are now owned by Esteé Lauder. Another budget cult product is the LA Girl HD Pro Conceal Concealers. There was such a huge deal following the moment these little concealers hit the market. Everyone raved on about how amazing they were; the payoff, blending ability, perfect for contouring, non-creasing, so on and so forth. I fell for the hype, because who couldn't resist buying a few concealers that were so cheap yet apparently so amazing someone would give up their right arm for their shade? However, this is not worth the hype. This isn't very good for full coverage, it gives medium to full coverage under my eyes, but I can't build it up without it growing cakey or creasing horribly. It also has a pretty limited shade range, nothing is yellow-toned, and the darker shades are too red for contouring. It blends okay if you work quickly, but after a while it becomes difficult. I actually like the green one, it's perfect for colour-correcting redness without making my face look ashy. I really try not to buy into the hype whenever something comes out and everyone and their next door neighbour is raving about it. If there's something that I'm really interested in, I wait until I can at least try it for myself or there are dozens of honest reviews and proper swatch videos. This is because makeup can get ridiculously expensive, and I can only afford to splurge on something once or twice a year, and it has to be amazing. It has to be worth the money that I dish out, or else it's just going to sit in my drawer, never seeing the light of day. That said, I really, really, really want to get the Kat Von D Shade and Light Contour Eye Palette. I've tried out the formula at Sephora and the longevity and colour payoff is amazing. I'd also like to try the Lock It foundation, to see if I can find something quicker to apply than the RCMA palette that I have. Have you ever been disappointed by a hyped-up cult product?